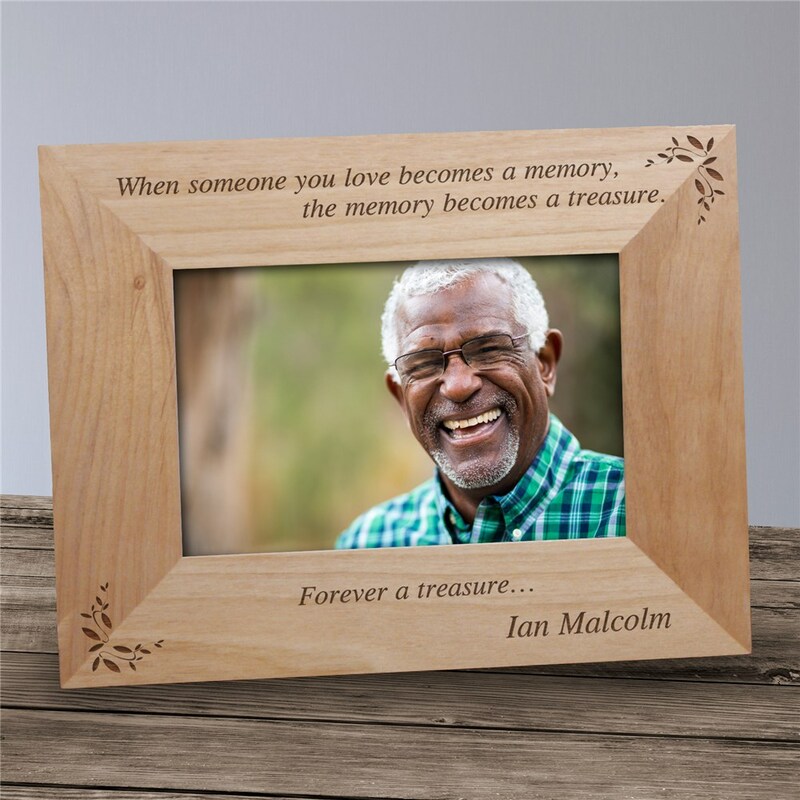 This beautifully Engraved Memory Becomes A Treasure Memorial Wood Picture Frame is sure to become the family's most treasured memorial keepsake. We will engrave this frame with your loved one's name. Just place a treasured photograph of a departed loved one in this timeless wood picture frame and you will always remember them. The frame was just as pictured and the engraving turned out beautiful! I am very, very pleased with it! The price was reasonable, as well as the shipping. Thank you! Exactly as shown, nicer in person. Love this. Have already ordered another one.